As the holidays fast approach, 38% of Americans have already gone into debt for gifts, new research shows. Many will be shocked at how long it takes for them to pay all they owe. In general, consumers do not expect their seasonal spending to set them back for long. More than half say they will pay for the spending spree by the end of January, and three quarters expect to be free from holiday debt by the end of March, according to a survey from CreditCards.com. Nearly 1 in 5 Americans with debt say they will never be debt free. The survey further reveals how misplaced this optimism may be. Nearly one in five Americans with debt say they will never be debt free. That is double the rate of those who felt the same way in a survey last May. So as the economy has turned up in recent months, it seems debt spending has followed suit—accompanied by escalating angst over the debt hole consumers may be digging. 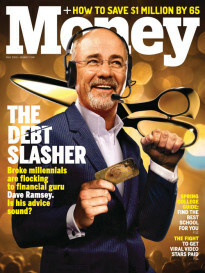 The typical consumer expects to be completely debt free, including a fully paid mortgage, by age 53, the survey found. Yet nearly half worry they will still owe at age 61, and 18% believe they will have debts when they die. On cue, millennials are the most optimistic generation: Just 16% of those aged 18 to 29 with debt say they will never get out of debt, compared with 31% of those aged 65 and older and 22% of those between the ages of 50 and 64. Meanwhile, high-income households (those earning more than $75,000 a year) are only slightly more optimistic about paying off holiday debt than low-income households, suggesting that everyone is letting go a bit and testing the limits of their earning power. 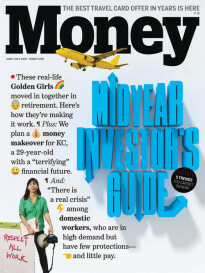 America’s debt culture is a big contributor to the retirement savings crisis. Other studies show an increasing debt burden on seniors. Those past the age of 60 saw their average debt jump between 2005 and 2014, TransUnion reported. More seniors are carrying student debt all the way into retirement, a government report found. Today’s spending may have far reaching consequences. To keep spending under control this season, create a holiday budget and stick to it. Track everything you spend. Pay off your highest interest rate cards first and consider transferring balances to a lower rate card. You might be able to negotiate a lower rate if you call your credit card company.